I have spoken in other threads about my desire to better understand libertarian thinking. I know that when it comes to areas like the legalizing of drugs that they are wrong and their premises are fundamentally flawed. What I'm wrestling with is understanding why. I think "know" isn't accurate or completely. You believe that legalizing drugs is wrong. I want to put out the following as a potential hypothesis. Libertarians believe that man is basically good and left to his own devices will most often choose the responsible thing to do. Christians believe in the depravity of man and left to his own devices will most often choose to do what is wrong. 2. I don't believe that all Christians believe in teh depravity of man. We are all sinners, but we aren't all inherently bad. We just aren't perfect. 3. I don't believe that all men will be good when left to their own devices. With freedom, comes responsibility. Responsibility is learned, not forced. Falling in line because the law forces you to does nothing positive for your moral character or for the character of society. Falling in line because you have been taught to make good decisions helps you and helps society. When people hurt others, they should be punished for it. If they choose to use drugs, but don't hurt others, then it's up to us as their fellow human beings to help them see the error of their ways without using force. Sometimes I think that too many laws make society lazy. Mother government will take care of it instead. If we want laws to force people into obedience for their own good, why not have a law that everyone must be Christian? I think "know" is dishonest. You believe that legalizing drugs is wrong. What law (on the books now, or not) would you see as a just (or justifiable) law? That's a pretty broad question. Instances where you hurt others for the most part should stay law. If you take someone's life, liberty, or property. I believe that free people need information in order to make good decisions. So laws that keep people from withholding relevant information from others for the purpose of gaining their property should still be illegal. There are a lot of things that should still be illegal. But mainly things that people "do" as opposed to things "they might do if". So, for instance, do you oppose speed limits? When you say that illegal drug use doesn't deprive others of their life, liberty, property that is a misleading statement. The act of doing illegal drugs may not affect these things, but I believe there is ample evidence that drug use certainly leads to acts that deprive others of their rights. You can say "well only punish those who commit those crimes", but if "We the people" decide that a behavior such as drug usage is so detrimental to society that we want to do away with it for the good of society as a whole so that we can protect the freedoms and liberties for the vast majority who don't do drugs, then I believe we have the right to do that. There is where I feel libertarian thought can get into selfishness. It is only concerned with that one individual's liberty to do what they want and doesn't take into consideration the liberties of countless others who would be affected. So what should we regulate, and what should we not? I think as a society we've been dealing with that question for hundreds of years. At one point a majority felt alcohol usage was so detrimental that we had prohibition. Then we as a society decided that prohibition was not a good idea. At this time a vast majority believe recreational drugs that are currently illegal should stay illegal. If that majority shifts in the future then those drugs will become legal. But it is society at large that is making the decisions on this. This isn't like Obamacare where the country was decidedly against it, and they passed it anyway. And the remedy was to vote at the ballot box which we did. An analogy I would use is to say that government has the right to prohibit arson, but it doesn't have the right to prohibit burning brush (or other things) in high risk areas during high risk times. You can make the argument that the act of starting a campfire on your property is your right, but if it is determined that it is a very high risk and puts all of your neighborhood in danger then the rights of the majority must be considered as well. I want to add that I think it is also misleading to make statements like "the government doesn't have the right to tell me what to do as long as it isn't hurting anyone else." I've done a good deal of study on how our constitution and governmental system came about, and one of the things that was wrestled with was how to deal with the possibility that the majority would do something that would infringe on the rights of a minority. In the end it was felt that a bi-cameral legislature, an Executive with veto power, and a constitution backed up by the Supreme Court would provide those protections. They knew that even with all of this that still a majority could put something in place that might take away a certain right from a minority. But it was determined that the only alternative was for the minority to have the right to infringe on the rights of the majority. They also believed that with all the checks and balance that this would rarely happen, and even if it did it would eventually be remedied. I also think it is disingenuous to say it is the "government" that is prohibiting people from doing these drugs. All of our laws on drug usage come through representatives of the people. As I've eluded to I believe there is ample evidence to suggest that we have the right to affect laws through our representatives that we believe are best for the protection of our rights. Now if you want to make the case that using recreational drugs such as crack and heroin is a constitutional right that can't be infringed on through legislative or executive action then I'd be open to hearing how you'd make that argument. If you want to talk about the DEA specifically and the "War on Drugs" policy as its been implemented then that is a different discussion. Whether or not we should spend more time and money on treatment vs. incarceration is a policy decision, and I believe that is constantly being hashed out. I don't believe that all Christians believe in teh depravity of man. We are all sinners, but we aren't all inherently bad. We just aren't perfect. That doesn't sound like "we just aren't perfect". Because we are fallen, we have a flaw as a race to seek out evil things to do and to do them. Our hearts are desperate to do wicked things and we as a species are powerless to stop ourselves. Were it any less, there would be no need for Christ. I do. I guess that's part of why I'm a small "L" libertarian as opposed to a Liberterian. Though I see it more as a practical civil engineering matter, as opposed to a moral or ethical one. And I think the responsibility should stay with local governments. And if a local municipality decided that it would be practical on a certain stretch of highway to have no speed limits, I wouldn't be opposed to it. I disagree with you here. But I respect your opinion. I don't think wanting more freedom is selfish at all. And I don't think that making people responsible for the consequences of their actions, as opposed to what actions 'might' take place is irresponsible. I'll agree with you here. But as a personal political philosophy I'm for the legalization of all drugs. But it's not something I lose any sleep over. A question I would pose is, what is more detrimental to people? Losing their life and property, or losing their soul? If we are trying to protect everyone, would it then be logical to make a law banning any religion other than Christianity? Make anybody who spreads messages contrary to Christianity a criminal that risks the souls of our youth and fellow countrymen? As a side note,... I'm not trying to convince anyone to take my position. But I do wish that people would take the time to see the logic in it so that they could at least respect it as a valid and logical position to take. Even if they disagree based on their own valid and logical reasons. I believe our founding fathers are good examples of Christian Libertarians. To answer WinningGuys question of "would you use drugs just because they were legal", the answer is, when I was young and stupid, YES, I would have used them! Knowing that I could get in big legal trouble if I got caught with an illegal substance was a motivating factor in never buying or possessing any of thoses substances. Yet I did drink beer and other libations (love that word!) with vigor between the ages of 18 and 21 before I stopped (finally dawned on me how stupid a thing to do it was). One was legal, one was not and guess which of the two I pertook of? I think you get the point. No offense, but that probably has more to do with how you looked at your parents. For some reason, you respected the law more than you respected your parents during those crazy years. I believe that is largely a fault of government acting as a parent. Society at large has shifted its responsibility to the government. And when things are allowed by the government, we've assumed that we don't need to sit our kids down and have real and uncomfortable talks with them about things like alcohol. But if you, as an adult, still make bad decisions. That's on you. You'd have the opportunity to learn from your mistakes. But at least you'd be free to do so. One of the things that quite frankly irks me about most Libertarians that I hear and read is that they always think they have a nice, tidy answer to everything. Suggesting here that my youthful behavior was due to Government somehow taking the role of my parents is humorous, but not in anyway accurate. Alcohol was legal and easily obtained, that why my crowd imbibed of it, not due to a drift from Federalism or any other governmental program. It was "State's Rights" over "Federalism" for me. Illinois in my High School years had a drinking age of 21. Wisconsin's more "liberal" freedom loving body politic set the age at 18. So it was off to the land of Cheese and Beer. Happily I survived (though all my classmates didn't). I too am amazed at the tidy answers. I'm also amazed that every Libertarian I've personally known has believed mightly in the need to enforce private contracts through the coersive power of the state (and a majority have been, or want to be, lawyers). Why? If someone is so foolish as to enter into a business dealing with a bad risk why should I have to pay to enforce the terms through expensive courts and justice systems? Should not the buyer beware? What?...you think leaving such arangements limited to the actions of two or more "consenting adults" with no means of societal enforcement would lead to social upheaval and personal retribution? No. The market would adjust and folks would only do deals with folks they really trusted. In fact then the unethical would recognize that they were loosing profits and start dealing fairly. At that point we would have no need for civil courts at all and would no longer need to be taxed to support them. Everyone would then be happier. In fact the state would wither away from disuse. Utopia! All the bromides have this nasty problem of running into the realites of this messy broken world and the messy nature of man that sits at its center. The problem with the whole "my rights end where your nose begins," is that often the speed at which these rights collide is fatal to one or both. Post by Southern Doc has received Likes: 4 goalieman, justgrace, QuoVadisAnima, WhatsNotToLike? Funny you mention the drinking age in various states, Southern Doc. In my state of PA. The drinking age was 21 back in my rowdy youth, but it was 18 in neighboring NJ. Guess where we went to purchase our individual six packs at?! So glad God put some sense in me before I exercised my individual liberty to continue to get behind the wheel of an automobile after consuming libations..........my liberty may have run over someone elses. I've tried to back off & reflect a little on the arguments presented here. WG, you do have some good & valid points; I'm just having trouble following them to your conclusions. As I read over today's posts, though, I cannot help but notice that what you are referring to as freedom is what many would consider instead to be license. Perhaps our disagreement stems from different understandings of what "freedom" means? To me, "license" would be if the government stated there was nothing wrong with drugs. Freedom, is when you are given the information, but are free to make your own mistakes. And the whole thing about libertarians having "convenient answers" sounds like a way to be condescending. Perhaps we just are comfortable with our core principles? Thanks, Walter and Southern Doc, for pushing against society’s prevalent ideas that freedom means doing whatever one wants, even though it will in fact hurt others. Well, this discussion is about who is a Progressive. I would say that it means one who would destroy this country by ideas that go against traditional morality and American ideals. It is someone well on the way to socialism (having government take care of us) and communism (having government own and direct all the wealth). And that would never describe Gov. 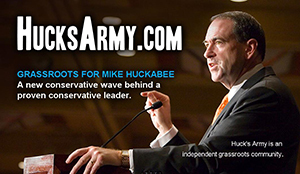 Mike Huckabee. Yet, true Progressives and other enemies of America have been trying for years to overthrow the greatest nation in the world that has provided the best opportunity for people to live freely by virtue of their virtues. So, does freedom mean license? Can we live without restraint? Does freedom mean thinking that problems that often conquer and imprison mankind will not affect us? That somehow our own sort of self-worship that leads to the destruction of others, and ruins lives, is truly a freedom that needs to be protected? Or is it believing that others may fall, but we never? Every alcoholic believes that. But as is the case with drug use and alcohol use, our children and youth are those most at risk from increasingly more harmful forms of drugs and increasingly available alcohol use. And to the extent that their parents are enslaved by the same, the children in these homes are at increasing risk, too. So I believe every society that would preserve freedom for all must still limit certain destructive behaviors for all. The essence of law is that. "Justice and liberty for all." That combination can work, but complete freedom cannot. We want to give justice and a fair trial with a jury of peers to a criminal. Not freedom. If man were truly good and generous, and selfless in all his thoughts and acts, only then could Libertarianism work. I want to understand this statement. Did you drink alcohol because it was easily, legally obtained (like water)? Or did you drink it because you wished to become intoxicated? Surely you knew that alcohol use could lead to destructive choices in your life. Did your desire to become intoxicated stem from the fact that there was no law against it? What did you learn from your early experiences with alcohol? So in this situation, you achieved self-governance without the state sticking a gun in your face. Amazing. The market would adjust and folks would only do deals with folks they really trusted. In fact then the unethical would recognize that they were loosing profits and start dealing fairly. At that point we would have no need for civil courts at all and would no longer need to be taxed to support them. Everyone would then be happier. In fact the state would wither away from disuse. Utopia! Okay, it's easy to poke fun at the idea of Utopia. And I will concede that there are the realities of the messy broken world and nature of man. But is your attitude that the world is irreparably broken, and that man's nature can never change? That's pretty sad. I don't share that attitude, and I don't think I'm alone. I believe there were some great men who thought differently, and laid the foundation for a future utopia with the creation of the United States. We took a step in the right direction. Actually, there is a little wiggle room between the total depravity of man vs. his perfection in the virtues. There is the theological principle of concupiscence, for example, which refers to man's weakness in the face of temptation as a result of the original sin, and this is the principle that most people espouse to some degree (even if they've never heard of the term before) because it is what most of us live & experience. Most, if not all, of our Founding Fathers believed in man's vulnerability to doing wrong at some point along that spectrum between concupiscence and total depravity. Our govt was actually designed with that understanding in mind - that the people needed to be protected from those eventual leaders who would succumb to the temptations that come with power & authority. So that's the idea - balancing the inalienable rights of the individual (what the FF communicated to posterity as their definition of freedom) with the good of society & the protection of the vulnerable. In such a worldview, how could legalizing recreational drugs that have no real redeeming qualities but tons of negative ones possibly have been looked on favorably? Liberals make similar arguments about fast food. Also, legalizing drugs would save a lot of law resources that are currently spent trying to fight drug dealers and cartels. These people kill thousands every year because they have a lucrative business based on drugs being illegal. And what is religion for? Do we need the government to make the rules for us instead of following what our faith tells us is right and wrong?